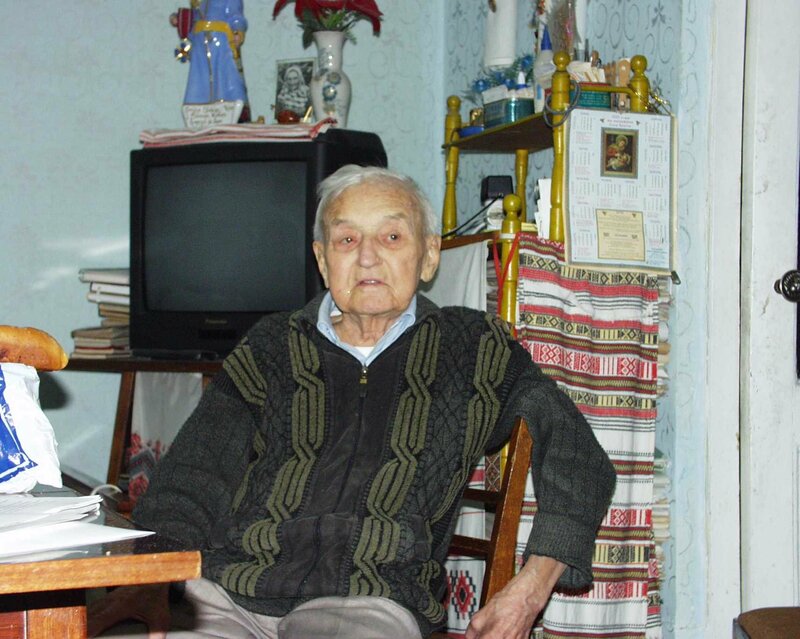 Vasyl’ Kuk (1913 – 2007) – the last UPA Commander. The recording was made in V. Kuk’s house 16.12.2006. V. Kuk recalls that being imprisoned in Poland before the WWII, he carried out an ideological work among other prisoners-Ukrainians, basing it on T. Shevchenko’s poems. Василь Кук (1913 – 2007) – останній командир УПА. Запис зроблено вдома у В. Кука 16 грудня 2006 р. 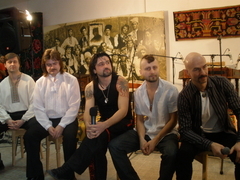 The art-class of “Haydamaky” group was held 17.02.2010 in I. Honchar museum in Kyiv. Musicians answered questions and spoke about music, life and political situation. Photos from the event are here. Sorry for the low quality of video and sound: it was recorded by an ordinary photo camera. Арт-клас гурту “Гайдамаки” відбувся 17 лютого 2010 р. у музеї І. Гончара в Києві. Музиканти відповідали на запитання й говорили про музику, життя й політику.